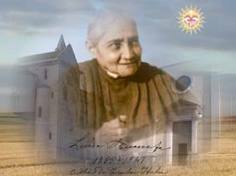 The Servant of God Luisa Piccarreta was born in Corato in the Province of Bari, Italy on April 23, 1865 and died there in the odor of sanctity on March 4, 1947. Luisa from her very birth was given a mystical life, for example, at the age of 17 she received the Mystical Union that Saint John of the Cross, Saint Teresa of Avila and Saint Catherine of Siena received right beore they died. After this mystical Union Jesus asked Luisa if she would stay in bed and because of her “Fiat!”, He taught Luisa about the Life of the Divine Will, forming It first in her. During that time through great sufferings and a sublime call to holiness Jesus taught Luisa about the fulfillment of the Our Father, the prayer that Jesus taught His Apostles. Jesus taught Luisa that now is the time for the Kingdom of God to reign on earth as in Heaven. Jesus dictated 36 Volumes of the doctrine of the Divine Will, which He gave the title “The Kingdom of the Fiat in the Midst of Creatures. Book of Heaven – The Recall of the Creature into the Order, to Its Place and into the Purpose for Which He was Created by God”, to teach Luisa how to “Live” in the Divine Will. This is different than the devotional life of the Saints which is “doing” the Will of God. These Volumes were basically dictated in three sections: in the first section, Volumes 1-10, Jesus shows Luisa how to become a Divine Mirror of Jesus Himself. In the second section, Volumes 11-19, Jesus shows Luisa how to “Live” in the Divine Will through the Power of the Holy Spirit. In the third section, Volumes 20-36, Jesus shows Luisa how to receive the Divine Inheritance of the Father. 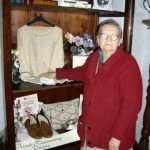 In humble obedience Luisa, under the constant direction of the Church, faithfully wrote all that Jesus Himself wanted her to put down on paper. 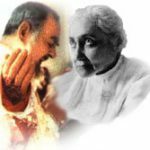 This would be not only for herself but for those who would read it, so that they too could “Live” in the Divine Will as Luisa learned how to “Live” in the Divine Will, by putting into practice these “Truths” taught by Jesus and Mary. 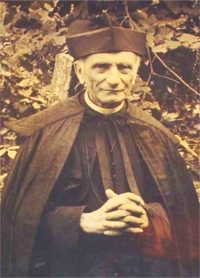 Pope John Paul II canonized St. Annibale and declared him to be the Saint for our time to pray to for Vocations. 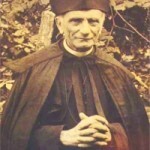 As Father Annibale penetrated into Luisa’s spirituality, he came to realize just how necessary it was to make known to the world all the writings on the Divine Will that our Lord made Luisa record, to accelerate the coming of the Kingdom of God on earth, and so that the Divine Will would be done on earth as it is in Heaven. In fact, he was providentially appointed not only spiritual director in all matters concerning her writings and their publication, but their ecclesiastical censor as well, as we see by this document that can be found below or at top drop-down bar under “Who is Luisa?”. 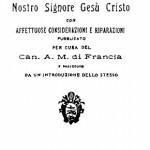 This document on the lives of St. Annibale Maria Di Francia and the Servant of God Luisa Piccarreta, including writings, letters and more, can be found below or top drop-down bar under “Who is Luisa?”. 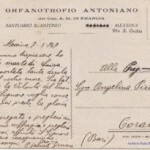 …”Some prerequisites are required in order to enter into the writing of the Servant of God, Luisa Piccarreta: profound Eucharistic formation, devotion to the Most Holy Virgin, total submission to priestly authority; all her writings must be read and meditated upon in the light of Sacred Scripture and the infallible magisterium of the Church. “Dear Mother (Father Gobbi turns to the statue of Our Lady next to him), forgive me, I am not pleased that the serpent is here but I am pleased that You crush its head—crush it! 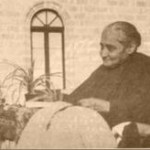 “Here in Italy, a certain woman named Luisa Piccarreta, [Servant of God,] whose beatification is in progress, wrote a great book about Divine Will. Once when I was inMexico, I was shown passages of the book, which related to so many topics about which our book [To the Priests: Our Lady’s Beloved Sons] also speaks. 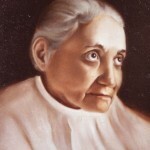 “Let me cite a passage from this book [The Book of Heaven] by the Servant of God, Luisa Piccarreta. She says that 2000 years after creation came the Great Flood so that the water would cleanse mankind; and 2000 years later, came the flood of the Blood: the Redemption; and still 2000 years hence, there will be the flood of fire—a spiritual fire, I believe—and finally the Kingdom of [the] Divine Will will come upon this world: because every creature will fulfill the Divine Will of God in a complete way. 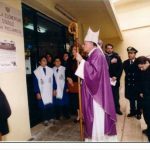 Adriana Pallotti is a wonderful lady who lives in San Giovanni Rotondo (Foggia – Italy), where she founded the “House of Prayer for the Kingdom of the Divine Will”. 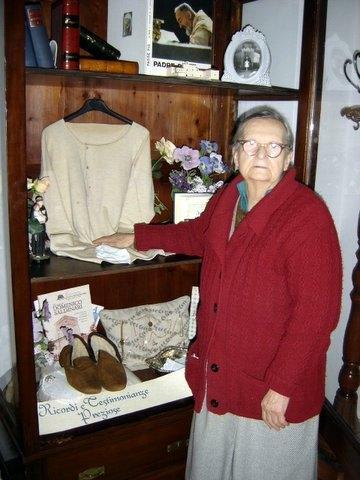 She is originally from Modena (Northern Italy), but she moved to San Giovanni Rotondo many years ago, “..to live close to Padre Pio..”, as she says. Padre Pio, then, became her Confessor and Spiritual Director.